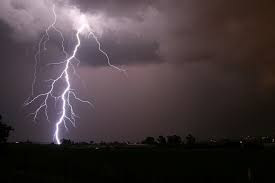 On Sunday, Lightning struck and killed six people and left many others injured with severe burns at a funeral, which held in Binga District of Zimbabwe. According to Zim News, the people had taken shelter under a tree when a bolt of lightning struck, killing six people on the spot. Speaking about the tragic incident, Chief Siachilaba from Binga said that they died while attending his late sister’s funeral at her homestead when the tragedy struck. He said when it started raining, some of the people attending the funeral took shelter under the tree which was later struck by lightning.